The first part of this subtopic is on the previous page. The so-called theory of evolution is no theory at all. There are two methods by which scientists discover facts. One is by strict observation, as is carried out by those who observe wildlife with a minimum of human interference. The other is termed the scientific method, which involves identifying an issue to be resolved, hypothesizing and experimenting. A hypothesis is a reasonably possible explanation for an observed phenomenon. Experiments are formulated and carried out to test a hypothesis. If the results of the experiments support the hypothesis, the hypothesis is elevated to the status of a theory. If further experimentation by other scientists supports the theory, the theory is elevated to the status of a fact. How does evolution shape up in relation to these procedures and standards? Evolution has never been observed occurring naturally nor has any observation or experiment ever provided any evidence that it has ever occurred at any time. In fact, scientists have run computer simulations of original cosmic conditions and duplicated billions of years of random variations in the hope of proving evolution - and have embarrassingly admitted that all that such computer simulations have generated was CHAOS!10 Nevertheless, the vast majority of the educational institutions in the world teach evolution as fact though it has never met the qualifications of a theory and should have been rejected even as a hypothesis many thousands of observations and experiments ago. It is most scientific to call it a fantasy. Did you know that a single human brain processes more information per given unit of time than all of the computer systems in the world combined? In light of the fact that it took the cumulative efforts of the finest scientific minds until the middle of the twentieth century to invent the electronic calculator - let alone the computer! - do you think that a human could possibly have evolved by the random sloshing about of cosmic mud? But a human is far more than a brain! The human body is composed of over ten billion cells, each of which contains about forty-five internal organs called organelles that function together with greater complexity than a major city, and far more efficiently. The cells, in various specific combinations, compose the body’s tissues which, in turn, form all of the organs in each of the body’s systems: skeletal, muscular, nervous, endocrine, cardiovascular, lymphatic, respiratory, digestive, excretory, reproductive (half a system in males, the other half in females), all of which work to sustain the whole and perpetuate the race. But a human is more than a body! He or she is alive and thinks and experiences emotions and searches for ultimate answers. The product of matter times movement times time? Unthinkable! The odds against it are infinitesimal beyondimagining. According to Dr. Scott M. Huse, the chance development of a system composed of 200 integrated parts is 1 in a number written as 2 followed by 270 zeroes, which is 2 followed by 190 zeroes times greater than the number of electrons in the universe (1 followed by 80 zeroes)! (The likelihood of just spelling the word “evolution,” containing a mere nine integrated parts [in this case, alphabet letters] by randomly selecting nine letters from the alphabet is one in 5,429,503,080,000.) “And yet,” says Dr. Huse, “a 200 part system is ridiculously primitive compared with living systems.11" Keep in mind that even bacteria qualify as living systems. How preposterous to think that a human could evolve by chance! "[T]here is no evidence at all that evolution ever took place in the past.... [A]ll known vertical changes seem to go in the wrong direction. An average of at least one species has become extinct every day since records have been kept, but no new species have evolved during that time. Stars explode, comets and meteors disintegrate, the biosphere deteriorates, and everything eventually dies, so far as all historical observations go, but nothing has ever evolved into higher complexity. "If evolution were true, there should be millions of transitional types among these multiplied billions of fossils - in fact, everything should show transitional features: But they do not! One more consideration: Have you ever considered the concept of devolution, evolution in reverse? If, indeed, viruses can evolve into Einsteins, why, in all my years of formal and informal study - until I read the Israel Today article on snake "evolution" previously noted - have I never heard of even one scientist who believed that Einsteins can devolve into viruses?!! Apart from that article, have you ever heard or read of even one advocate of devolution in the sense of a complex specie changing into a less complex one? Given that all of nature is in a state of breakdown and decay (the Law of Entropy or the Second Law of Thermodynamics), is not devolutioninfinitely more likely than its heralded opposite? And yet, evolutionary evidence supposedly abounds everywhere! The evidence is in. Mindless, purposeless, random evolution did not create the complex systems and wonders of the universe. No, the patriarch of your bloodline was not a baboon, nor were you descended from a pond scum (as my high school Biology teacher told me I was) or even something as sophisticated as a mutated fish. It is as the Bible says: In the beginning, God created the heavens and the earth (Genesis 1:1). Then the LORD God formed man of the dust of the ground, and breathed into his nostrils the breath of life (Genesis 2:7). On matters of science that are unobserved or unobservable, the Bible offers the most plausible explanation. Powerful evidence, indeed, that the Bible is the Word of God! A bright light shone in the ancient Middle East. It was the Law that God gave to Israel through Moses. The light brightened dramatically with the life, atoning death and resurrection of Jesus and the teachings that flowed from his life and lips. This biblical light has been monolithic in its influence around the world for respect for human life in general, for spouses, women, parents, the elderly, children, the poor and strangers. It declares, You shall love your neighbor as yourself (Leviticus 19:18; Matthew 22:39) and even “[L]ove your enemies, and pray for those who persecute you” (Matthew 5:44). It has upheld the beauty and blessing of marriage and the family and has condemned all that would threaten these most wonderful of human relationships. The specific reforms of Constantine mentioned by Mr. Wirt were all in keeping with the teachings of Scripture. In those areas of life and thought in which Constantine properly applied the Bible’s teaching he wrought tremendous good, confirming the wholesomeness of the Bible's teachings and providing more evidence for its divine origin. On the other hand, in certain other matters, Constantine established policies and set precedents that contradicted the Bible’s teachings and wrought harm even to this day. One example is his official references to the Jews as "a nefarious sect"21 and other such epithets spoken in conjunction with exhortations to ostracize them. Such actions by Constantine fueled the fire set by many before him for the incessant and virulent persecution of the Jews, and demonstrates the great evil that follows when biblical exhortations and examples are transgressed.This, too, in a roundabout way, provides evidence of the Bible's divine origin! In the Middle Ages, it was the Bible that inspired Christians to establish hospitals and universities, the latter of which were established for the propagation of the gospel and Christian service. It is because God intended the Bible to be read and practiced by all people everywhere that believers have been motivated to promote literacy and education in the farthest reaches of the earth. It is the Bible that motivated Christians to fight for the abolition of slavery in England and the United States and, in our present day, some Muslim and other nations. Martin Luther King, leader in the fight for civil liberties in the 1950's and ‘60's, continually appealed to the God of the Bible as his source of direction and strength. What magnitude of change can the Bible bring to a people? In 1876, Mary Slessor left Scotland to bring the Word of God to the interior of Nigeria, where lived four million cannibals. "Witchcraft and drunkenness were rampant. The savages worshiped fetishes; theymurdered twins; they turned the mother of twins out into the jungle to be devoured by beasts because they believed twins were brought about by a conjunction with a demon. Almost half of the population were slaves. When a man died, they would eat fifty slaves; twenty-five more would have their hands tied behind them and their heads would be whacked off. Unmarried women were chattel. They could be raped, tortured, or murdered at will.... Children were considered no better than animals, often simply left to die. "One after another the chiefs of the various tribes yielded their lives to Christ. One after another the tremendously horrible customs plaguing these people for years were abolished; the murder of twins, infanticide, the slaughter of wives and slaves, the trial by poison and boiling oil, and all other terrible customs. To what depth can a nation sink when the Bible’s influence is removed? In a Breakpoint radio byte, Chuck Colson quoted South African Anglican Bishop Desmond Tutu as saying, “Africa is bleeding.” In the same context Bishop Tutu said, “The awful truth is that in Africa there was far greater freedom in the colonial days than there is now.” Alluding to historian Paul Johnson’s authority on the subject, Colson went on to say, "The colonial days were not perfect by any means. Yet the colonial powers were Christian in culture, if not in personal belief. And wherever the colonial powers went, around the globe, they brought with them basic principles derived from biblical faith: things like the rule of law, individual responsibility, political freedom, care for the weak, respect for learning." The world would be far more wicked than it is now were it not for the Bible. I’ve heard more than one well-traveled missionary say how much more respect there isfor life and how much more livable life is in those countries in which the Bible’s influence is the strongest. Certainly, the immeasurable beneficial effect that the Bible has had on the nations of the world is powerful evidence of its divine origin. It is impossible, of course, for nations to be changed without individual lives being changed. Living conditions for the Ibo could not have changed were it not for the radically changed lives of many individual Ibo. "Amazing grace! How sweet the sound that saved a wretch like me!I once was lost, but now am found, was blind, but now I see!" Chuck Colson, whose underhanded activities as President Nixon’s “hatchet man” landed him in jail, was subsequently touched by the Bible’s message of salvation through Jesus Christ. He now spends his life ministering to all aspects of prisoners’ needs and speaking out against injustices and atrocities and destructive philosophies and policies of governments and societies. The power of the Bible’s message to convert lives from evil to good is further evidence that the Bible is the Word of God. One would think that if the Bible were authored by God it would be a superlative literary work. Indeed it is. The Bible contains at least eight different literary forms: historical narratives, biographies, letters, sermons, proverbs, drama, poetry, psalms. Its stories have become ingrained in Western thinking: the Creation, the Garden of Eden, Noah’s Ark, the Tower of Babel, the Exodus, the Giving of the Law at Sinai, David and Goliath, Jonah and the “Whale,” the Christmas and Easter stories, the Sermon on the Mount, the Feeding of the Five Thousand. The 23rd Psalm is universally acclaimed for its lyrical, pastoral beauty; the Beatitudes for its gentle, poetic cadences. Yearning for adventure on the high seas? The gripping account of the shipwreck in the Acts 27 has been touted as the most realistic rendering of a shipwreck in all literature. Dying for apocalyptic drama? Read the Revelation; then find, if you can, a more captivating or intriguing tour de force. Where can you find a more intriguing plot? God, in the presence of the holy angels, creates a magnificent universe, forms man of the dust of the ground and breathes into his nostrils the breath of life. The man sins, the earth and the universe become cursed and the human race becomes separated from God. God, who justifiably could have wiped out the human race, sets in motion a rescue plan that involves the virgin birth of His Son, His Son’s living a sinless life, dying for the sins of the world, being resurrected, setting all things in the spiritual and material universe in order and presenting to His Father a perfected universe crowned by the church in all her glory, having no spot or wrinkle or any such thing; but...holy and blameless (Ephesians 5:27) which, with the saved of all ages, will live in the presence of the holy angels and the Triune God forever. Search all literature and let me know if you find a more original and thrilling and wonderful plot at the end of which the reader is lifted to join in such a gleeful chorus of never-ending Hallelujahs! No other book comes close to the Bible in literary quality! It is the kind of masterpiece that one would expect from the Master Creator of the endless wonders of the universe, Himself. If God were to write a book, one would expect that its theme would be so lofty and its artistry so consummate that it would inspire copious amounts of the world’s most wonderful works of art. The Bible has done just that. The great cathedrals of Europe lift their spires in expressions of heavenly adoration and aspiration. The Last Supper of Da Vinci; the great paintings of Michelangelo on the ceiling of the Sistine Chapel in Rome, and his great sculptures - the Pieta (the body of the deceased Jesus draped across His mother’s lap), the Moses, the David - all were inspired by the Bible. The inspiration for the "Praying Hands" so often seen on wall plaques and greeting cards and in magazine articles, came to Albrecht Durer (1471-1528) as he beheld a friend in prayer. The “Messiah,” by George Frederic Handel (1685-1759), perhaps the most wonderful of all musical compositions, was written in less than twenty-five days during which Handel felt he was under the inspiration of God. The manuscripts of Johann Sebastian Bach (1686-1750), contain copious inscriptions which reveal the source of his inspiration: “S.D.G.,” Soli Deo Gloria: “Solely to the Glory of God;” “J.J.,” Jesu Juban: “Help me, Jesus;” “I.N.J.,” In Nomine Jesu: “In the Name of Jesus.” According to Dr. James Kennedy, “[Bach] told his pupils that unless they committed their talents to the Lord Jesus Christ, they would never be great musicians, for music, according to Bach, was an act of worship.”25 The Pilgrim’s Progress is among the world’s great literary masterpieces. Written by John Bunyan during his imprisonment for his faith, it contains wonderful allegories of the Christian walk and of the pitfalls of which Christians must beware. Next to the Bible, more copies of The Pilgrim’s Progress have been printed than any other book. Among the most inspiring of Hollywood productions are stories taken from, or inspired by, the Bible: The Ten Commandments, Ben-Hur, Chariots of Fire. What other book, or any other medium of communication for that matter, has inspired so many wonderful works of art? None. No other book comes even close. This fact constitutes even more evidence that the writing of the books of the Bible was initiated and divinely controlled by the God of the Bible, the Creator of the endless natural wonders of the universe, which themselves inspire breathtaking works of art. If God wrote the Bible for the enlightenment of all people for all time, one would think that He would preserve it; and preserve it He did. As far as we know, He did not preserve the original autographs. (If He did, He has not yet revealed to us where they may be found.) Nevertheless, many times more early manuscripts of the Scriptures have been preserved than the manuscripts of any other ancient document. It can be inferred from the Bible that Adam was not a grunting, troglodytic knuckle-walker. He was an intelligent man who spoke in a fully developed language, conversed with God and named the animals. Adam and some of his descendents wrote much of what was later to be included in the Book of Genesis. In Genesis 2:4, we see the phrase, These are the generations of.... This phrase is also found in Genesis 5:1; 6:9; 10:1; 11:10,27; 25:19; 36:1,9; 37:2. In all except this first one, 2:4, the name of a specific patriarch is attached. Parallels with the terminology of the ancient Babylonian tablets indicate that these names are actually the signatures of the original writers of the particular tablets. That is, each of these primeval patriarchs kept the narrative records of his own generations, inscribing them on stone or clay tablets and then appending his name at the end when he was ready to turn over the tablets and the task of writing the toledoth (Hebrew. these are the generations of) to the next in line.26 In Genesis 5:1, we read, This is the book of the generations of Adam, indicating that Adam wrote the second half of Genesis 2:4 through the first half of 5:1, and similarly with the other sections. These tablets eventually came into the possession of Moses, who included them in the book we call Genesis. So, we see that the Law of Moses, which contained even the writings of Adam, was intact and in the possession of God’s people in 444 B.C. By the time of Ezra, or thereabouts, the entire Old Testament had been written and compiled. In about 335 B.C., Alexander of Macedon gained control over Syria and Israel. Upon his death in 323, four of his generals divided his vast empire among themselves. Syria and Israel fell under the rule of the Seleucids. In 167 B.C., Seleucid king Antiochus Epiphanes invaded Jerusalem with the purpose of crushing all vestiges of the worship of Yahweh. Among his measures were the forbidding of the reading of the Law and the ordering of all scrolls of the Law to be confiscated and burned. Compliance was mandatory upon pain of death - but God did not allow His Scriptures to be destroyed. He raised up the Maccabees, a Hebrew family, to lead a revolt against Antiochus. In 164 B.C., against overwhelming odds, the ragtag Jewish army defeated two of Epiphanes’ armies and drove them out of Jerusalem, for which Jews celebrate Chanukah. Not a bad holiday for Christians to celebrate, either: God’s Book remained intact! No book in history has come under attack like the Bible, yet God has preserved His Book for all who would read it. In the eighteenth century, French philosopher Voltaire declared, “Fifty years from now the world will hear no more about the Bible.” Exactly fifty years later, the Geneva Bible Society bought the very press that Voltaire used to publish such statements, and used it for the printing of Bibles. In the twentieth century, Richard Wurmbrand was imprisoned for fourteen years for preaching and teaching the Word of God. Today, the organization that he founded, Voice of the Martyrs, uses one of the Rumanian prisons in which he was incarcerated under the Ceausescu regime as a warehouse for the Bibles and related literature that they print and distribute. The Soviet Union, the world’s only officially atheistic empire in all of history, collapsed in 1989 from internal decay. Subsequently, its master nation, Russia, opened its floodgates to the influx of millions of Bibles and thousands of Bible teachers. Communist China ruthlessly suppresses its vast number of unregistered (and therefore uncontrolled by the government) churches; but the more the underground church is persecuted the more it explodes in numbers; and millions of Bibles, contraband if not printed and distributed by the government,are printed inside and outside of China, distributed within China and treasured above all possessions by millions of Chinese. Much persecution has accompanied the translation, production and distribution of the Bible in many of the world’s languages, including English, the language in which most of the Bibles of the world are now translated. Virulent attacks against the Bible have been launched in full force in Muslim, Hindu and Buddhist countries. All have failed! God has been guarding His Word. No one will ever bring it down! God, who took such care to preserve His Bible throughout history, took care to preserve the accuracy of its contents. From about 500 A.D. until the present, the standard Hebrew text of the Old Testament has been perfectly preserved; but after 1947, the faithfulness of the Masoretic Text to much earlier Old Testament Texts was put to the test. In 1947,about five hundred scrolls dating from about 125 B.C. to 100 A.D. were found in a cave near the Dead Sea. Of these, about 175 were biblical, containing several copies of many of the books of the Old Testament and sections or fragments of others. All Old Testament books were represented except the Book of Esther. These Dead Sea Scrolls were written, on the average, a thousand years nearer the time of the original autographs than the final Masoretic Text. Naturally, scholars expect older texts to reflect the original autographs more faithfully than later texts. Among the Dead Sea scrolls was a scroll of Isaiah from 125 B.C., 1125 years nearer the original than the final Masoretic Isaiah. Astoundingly, a comparison of the Dead Sea and Masoretic Isaiahs revealed virtually no difference between the two. In speaking of the biblical Dead Sea Scrolls and the Masoretic Text overall, Dr. Arnold G. Fruchtenbaum writes, “Where there is a variation, there is absolutely no change of meaning. For example, one scroll may say, ‘he went to Jerusalem.’ The other scroll may say, ‘he went unto Jerusalem.’ ...[S]o the text has remained intact.”32 It is reasonable to conclude that, if God preserved the integrity of the Old Testament for the last two thousand years, He preserved it from the time of the original autographs. Peter wrote, You have been born again not of seed which is perishable but imperishable, that is, through the living and abiding word of God. For, "All flesh is as grass, and all of its glory like the flower of grass. The grass withers, and the flower falls off, but the word of our God abides forever." [Isa. 40:6,8]. And this is the word which was preached to you (1 Peter 1:23-25). Peter addressed this letter to Jewish believers (1 Peter 1:1, 2:12) to whom the Word of God and the Word of the Lord referred not only to specific messages that God spoke or revealed to individual prophets, but to the entire body of Hebrew Scripture. God promised through Peter that His Bible, whether written on tablets of clay or stone or parchment or paper or on any modern medium, or in the glorified memories of the saints in the eternal ages, will always be preserved forever! It’s as if the Bible enjoys supernatural protection. Yes, the preservation of the sixty-six books and of their accuracy is even further evidence that the writing of the Bible was inspired - initiated and superintended - by God. "You cannot talk to a Babylonian today, nor a Hittite. You will not meet a Moabite or a Phoenecian on the street. But you can converse with a Jew. "By every measuring stick of history there should not be even one identifiable Jew alive today. For 4,000 years they have endured unbelievable hardships: exile from their land more than 60 per cent of the time; organized efforts to destroy them; the crumbling of the civilizations in which they sought refuge; the sophisticated brutality of the 20th century. Yet the Jews are alive and flourishing. They survive every effort to destroy them. "36How is it that they survive every effort to destroy them? Let’s look to the latter half of the New Covenant: Thus says the LORD, who gives the sun for light by day, and the fixed order of the moon and the stars for light by night, who stirs up the sea so that its waves roar; the LORD of hosts is His name: If this fixed order departs from before me, declares the LORD, then the offspring of Israel also shall cease from being a nation before me forever. Thus says the LORD, If the heavens above can be measured, and the foundations of the earth searched out below, then I will also cast off all the offspring of Israel for all that they have done, declares the LORD (Jeremiah 31:35-37). For I, the LORD, do not change; therefore you, o sons of Jacob, are not consumed (Malachi 3:6). These Scriptures, written in 597 B.C. and 397 B.C., respectively, purport that God declared that He would preserve Jewish national identity for as long as there are sun, moon and stars and until the universe is fully measured and the foundationsof the earth fully searched out. Despite the repeated fury of Satan and the nations to destroy the Jews, there are still 13,000,000 of them alive and identifiable today, 2400 and 2600 years after these passages were written. Were these purported declarations by God the hallucinations of heat struck Hebrew holy men - or were they the Words of God? Look to history - and decide. Perhaps the most amazing phenomenon in the Bible is its containment of hundreds of detailed prophesies that have come to fulfillment - in detail: prophecies as broad as the blueprint of history and as focused as the details of Messiah’s life and crucifixion; prophecies of the destruction of specific nations, of the endurance of others, of the scattering and gathering of Israel and of political and military alliances in the distant future. In about 601 B.C., an amazing dream was given to Nebuchadnezzar, King of Babylon, and its interpretation to his Hebrew advisor, Daniel (Daniel 2:1-45). The dream and its interpretation revealed the succession of the world empires central to Bible and world history and prophecy: Babylon, Medo-Persia, Greece, Rome, the split of Rome into eastern and western divisions, and an empire consisting of ten kingdoms which will, in turn, be crushed and replaced by a kingdom which the God of heaven will set up... which will never be destroyed (v. 44). The first five of these elements have already come to pass in world history! Around 850 B.C., Obadiah prophesied the destruction of the then mighty Edomite nation (southeast of the Dead Sea), saying, [T]here will be no survivor of the house of Esau (v. 18). Between 450 and 400 B.C., God declared through the prophet Malachi, I have made [Esau’s] mountains a desolation (Malachi 1:1-3). Today there are no known surviving Edomites. In about 625 B.C., God declared through Zephaniah, O Canaan, land of the Philistines; ...I will destroy you, so that there will be no inhabitant (Zephaniah 2:5). Today the Philistines are gone without a trace. In Deuteronomy 28, written about 1400 B.C., Moses declared that if Israel will not obey the LORD, [T]he LORD will scatter you among all peoples, from one end of the earth to the other end of the earth (v. 64). In 135 A.D., Israel was crushed by Rome and scattered to the four corners of the earth. About 600 B.C., God declared, “As I live,” declares the Lord GOD, “surely with a mighty hand and with an outstretched arm and with wrath poured out, I shall be king over you. And I shall bring you from the peoples and gather you from the lands where you are scattered” (Ezekiel 20:33-34). 735 years before Israel’s most profound scattering (by the Romans, in 135 A.D.) God declared that He wouldgather her. Has this prophecy of the gathering of Israel yet been fulfilled? Yes. Its milestone was the year 1948, when Israel became a modern nation. 2,540 years after Ezekiel’s prophecy, 1800 years after being scattered from their homeland and immediately following Satan’s greatest effort to annihilate them (1939-1945), God gathers them! Compound the odds against this gathering of Jews to their national homeland with the odds against Jewish survival, as described above; then consider whether these Biblical declarations were the creative inventions of men - or revelations of future history declared by God. Against thee [Israel] do they make a covenant: the tents of Edom and the Ishmaelites; Moab, and the Hagarenes; Gebal, and Ammon, and Amalek; Philistia with the inhabitants of Tyre: Assyria also is joined with them; they have helped the children of Lot (Psalm 83:1-8, ASV). Psalm 83 was written about three thousand years ago. What are the odds that the psalmist Asaph could have guessed that the above nations - all ten of them - would covenant against Israel? Some skeptics argue that Bible “prophesies” were written after the fact. What are the odds that some clever people stuck these verses in Psalm 83 since 1948? The Bible, alone among books, contains hundreds of detailed prophesies that have already been fulfilled in every detail. Who, but God, could possibly author such a book? The Bible claims it is the Word of God, stands alone in its uniqueness, is consistent in its central theme and continuous in its development over a period of 1600 years, contains no contradiction, does not contradict the proven facts of science, offers the most plausible explanations in matters of science that are unobserved or unobservable, has profoundly influenced the world for good, has profoundly changed individual lives for the good, is a literary masterpiece in a class of its own, has inspired many of the world’s greatest works of art, has been preserved physically and in accuracy since its first words were written, has promised the preservation of the Jew and has declared hundreds of prophecies that have been fulfilled in detail. It is reasonable to conclude with absolute certainty that the Bible was written by men under the perfect superintendence of God. It is more than reasonable to study a book authored by our loving Creator. We might just learn something. The Bible, written by God through the hands of men, is a reflection of Jesus, who Himself is both divine and human. Wouldn’t you like to get to know Jesus the Messiah? The chief message of the Bible is one of ultimate hope for all that the human heart could possibly long for. It is a message which, when embraced, brings the forgiveness of sins, an eternal infusion of new life from God that fills us with joy and transforms our attitudes and actions to be more godly ones, and the assurance of a most wonderful and blessed eternity in the presence of God forever. This is the message: that God loved us so much that he sent His Son, Yeshua HaMashiach (Hebrew for Jesus the Messiah or Christ), to die in our place for our sins so that He might forgive us of our sins and, as He raised His Son from the dead, raise us from the death of sin’s power and guilt to live a new life in His embrace forever. Do you believe? Please pause and answer! If you do, then you, too, have already risen from the death of your old life into new, blessed life in Him. Thank Him. He deserves your praise forever. Since the God of the Bible is a loving God, it behooves us to change our thinking and ways to conform to His. It should surprise no one that God’s values and priorities differ from the values and priorities of those who don’t know Him. Even among the nations of the world values and priorities differ tremendously. Which values are to be embraced: the values of one’s own culture? Those of another? What makes one set of values superior to another? Nothing - were it not for the fact that there is an absolute standard: the values and priorities held eternally by God and found in His holy Book! These are the values that the believer - indeed, everyone on the planet - ought to embrace. Embrace them to bless and be blessed. 10. Pratney, Winkey, "Creation or Evolution? Part II - The Historical Record," Pretty Good Printing, Last Days Ministries, Lindale, TX., 1984, p. 4. 11. Huse, Dr. Scott M., The Collapse of Evolution, Baker Book House, Grand Rapids, Michigan, 1983, p. 67-68. 12. Morris, Dr. Henry M., op. cit., pp. 1496-1497. 13. Gish, Dr. Duane T., and Bliss, Dr. Richard B., Impact, Nos. 95-96 - "Summary of Scientific Evidence for Creation," Institute for Creation Research, El Cajon, California, 1981, p. iii. 14. Huse, Dr. Scott M., The Collapse of Evolution, Baker Book House, Grand Rapids, Michigan, 1983, pp. 96-103; and Nelson, Byron, After its Kind, Bethany House, Minneapolis, Minnesota, 1967, pp. 126-138. 15. Why We Believe in Creation, p. 312, quoted by Pratney, Winkey in "Creation or Evolution? Part III - The Fossil Record," Pretty Good Printing, Last Days Ministries, Lindale, TX., 1984 p. 1. 16. Nilsson, Dr. Herbert, University of Lund, Sweden, quoted by Pratney, Winkey, Ibid., p.1. 17. "The Life of Leonardo da Vinci, Part V." Questar Video, Inc., Chicago, Illinois 60611. 18. Moore, Roy S. “Putting God Back in the Public Square.” Imprimis Magazine, Hillsdale College, Hillsdale, Michigan 49242, September (?) 1999. 20. Wirt, Sherwood, The Social Conscience of the Evangelical, quoted in Kennedy, D. James, What if Jesus Had Never Been Born, Thomas Nelson Publishers, Nashville, Tennessee, 1994, p. 13. 21. Egner, David C., Those Irrepressible Jews!, Radio Bible Class, Grand Rapids, Michigan 1983, p. 50. 22. Kennedy, D. James, op. cit., pp. 168. 23. "Breakpoint" with Chuck Colson, December 29, 1995. 24. Moore, Roy S. op. cit. 25. Kennedy, D. James, op. cit., p. 186. 26. Morris, Dr. Henry M., op. cit., , p. 9. 27. Morris, Dr. Henry M., op. cit., p. 546. 28. International Standard Bible Encyclopedia, 1973, v. 1, p. 492. 29. Enns, Dr. Paul P. The Moody Handbook of Theology, Moody Press, Chicago, Illinois, 1989, p.171. 30. Halley, Henry H., op. cit., pp. 759-760. 32. Fruchtenbaum, Dr. Arnold G., Radio Manuscript 30: The Nature of the Bible, Ariel Ministries, Tustin, California, 1983, p. 5. 33. Morris, Dr. Henry M., op. cit., p. 1989. 34. Fruchtenbaum, Dr. Arnold G., op. cit., p. 5. 35. Halley, Henry H., op. cit., p. 19. 36. Egner, David C. op. cit., back cover. 37. Fruchtenbaum, Dr. Arnold G., Radio Manuscript 8: Arab States in Prophesy, Ariel Ministries, Tustin, California, 1983, pp. 7-8. 38. Geisler, Norman L. and Brooks, Ronald M., Come, Let us Reason, Baker Book House, Grand Rapids, Michigan, 1990, p. 145. 39. Pratney, Winkey, "The Holy Bible - Wholly True," Pretty Good Printing, Last Days Ministries, Lindale, TX., 1985. 40. Chafer, Dr. Louis, quoted by Fruchtenbaum, Dr. Arnold G., Radio Manuscript 30: The Nature of the Bible, Ariel Ministries, Tustin, California, 1983, p. 8. 41. Halley, Henry H., op. cit., p. 18. 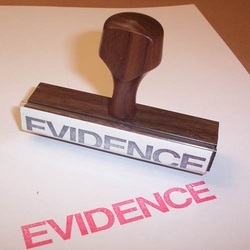 Evidence Upon Evidence: The Bible Is the Word of God - a messianic Bible study.